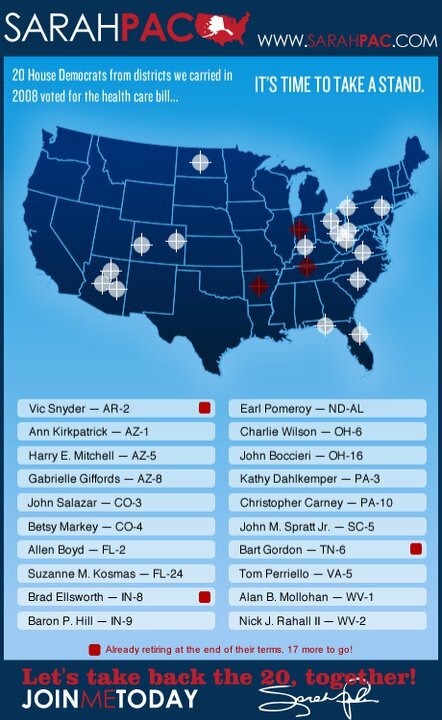 I found it fascinating that Palin took down her offensive map after the shooting. She also tried to erase the Tweet and Facebook postings that told her supporters to not "retreat but reload." Congresswoman Giffords complained about this crosshairs maps back in March. We need to reign in the hateful political rhetoric in America. All this screaming and violence over a health care bill and an immigration bill? The leaders of the GOP started lowering the political discourse way back with Lee Atwater. It's only getting worse. A Republican candidate saying if you don't get what you want at the ballot box, resort to the using the Second Amendment? Where was Michael Steele? Fox News (aka Radio Rwanda) needs to stop enabling hypocritical idiots like Beck and Palin. At least O'Reilly tries to be open minded. I get it. It's all about ratings but Beck and Palin go too far. I remember doing meet and greets with Senator Bill Bradley in Jersey. There was never any security. Members of Congress need to meet with their constituents. How can we have a representative government if we can't interact with the public officials we elect? That innocent people would be gunned down in the middle of the day in front of supermarket breaks my heart. One of the victims, Christina Green, was a nine year-old who was born on 9/11. She was just elected to her student council and wanted to meet her Congresswoman. Now she's dead. Murdered in front of a Safeway supermarket. How did a man who was turned down by the army for being unstable able to buy a gun? I'm not sure if there will be any positive changes after this incident. I fear in a few months it will be back to business as usual as people gear up for the 2012 Presidential election. In my state it is hard to get a permit to carry a handgun. In fact it involved more work than getting a license to Marry! It is hard for me to understand why the local law enforcement in Tuscon didn't do anything beforehand. Especially, after the Army didn't want him. So sad, but all we can do now is pray for the victims and their families. I still can't get my head around it. It made me terribly angry and sad all at once. I am so sick of the anger and the rage and the horrible judgmental tone of the discourse. I don't know if it can change. Our babies in America see thousands of images of violence and hatred before even entering kindergarten. Americans are bombarded with three thousand images a day of advertising that dehumanize and create the fear of scarcity and inferiority. Guns are more important that people. There is a proposition on the table in Arizona to allow university students and teachers to carry concealed weapons. What is that? Why? What good end can come of that? Thank you A. for this sadly wonderful post. Appalling incident. wow...how telling and well predicted that video is. "...they have to know - there will be consequences" she said about inciting hateful rhetoric. how true that is...and sad. It is a terrible tragedy. It is also one that could have been prevented. All the hateful political rhetoric must stop. You think Palin learned her lesson? Probably not! gil - New York has strong gun laws too but in other states that's not the case. Not sure if we can put the genie back in the bottle. diana - I listened to a pro-gun lobbyist say on the news that if there were more guns, there would have been less people killed in Tuscon. Yes, because someone else would have shot the shooter. When folks are dealing with that kind of logic there will never be any real national gun control. eleonora - it's very upsetting. What a way to start the New Year. erin - isn't it? When I worked on the Hill, we received threatening mail but nobody's office was vandalized. Nobody was pushing and shoving people at town hall meetings. I hope folks calm down before the next election. jannelle - there were so many warning sign that this man was very unstable. Who the heck sold him the gun? What do his parents have to say about all this? That really disturbed me about the gun. (well, the whole incident really disturbed me, but especially the fact that the gunman was turned down by the army for being unstable and was still allowed to legally buy a gun)- and still no one on the right is calling for stricter gun control laws! What will it take? J. Doe - Unfortunately, I don't think the gun laws will change. The Congress allowed some gun laws to expire which is why the shooter was able to purchase a gun that could shoot so many rounds before reloading. 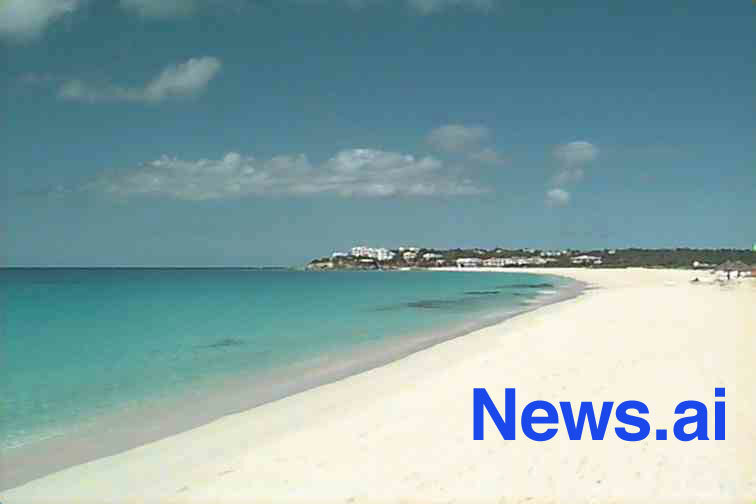 deidre - I was so upset when I heard about the shooting, I had to write something.